Craving that fall pumpkin flavor but hate baking? Have some leftover pumpkin puree that needs to be used? Looking for that sweet something you can dig into any time of the day? 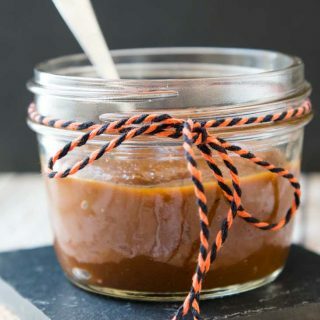 This delicious caramel-like 5-Ingredient Pumpkin Butter recipe is the answer! 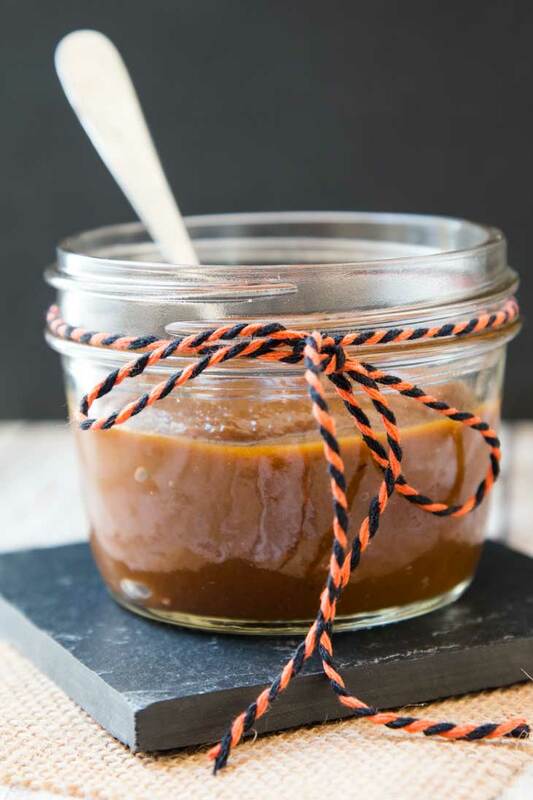 This Fall-flavored pumpkin butter recipe comes together in just 15 minutes. It’s vegan, healthier than any store-bought version, gluten-free, uses coconut sugar, and does not use any actual butter. 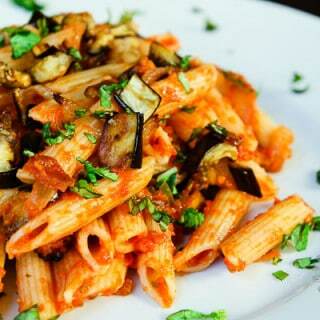 I love having recipes like this to fall back on because I always have extra canned pumpkin puree laying around. Either it’s leftover from another recipe I made, or it’s an entire can of pumpkin puree I need to use up because I over-stocked my pantry during the fall and winter. 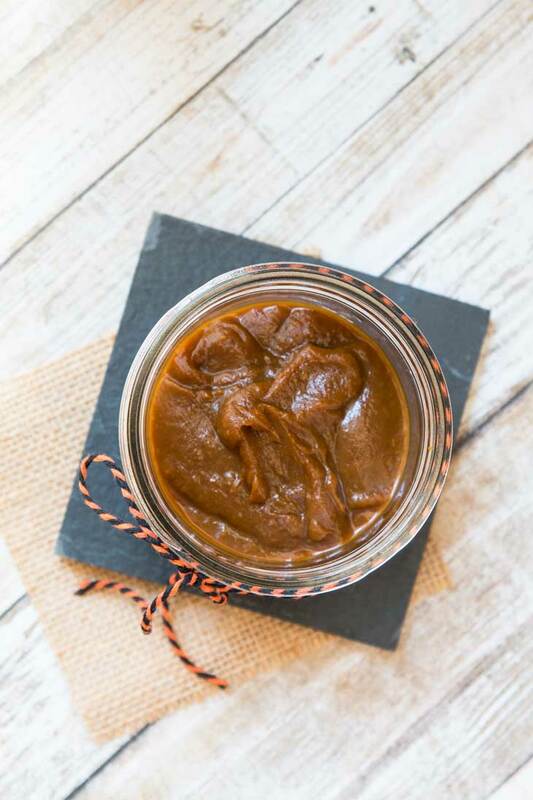 I typically add it to smoothies, but this 15-minute pumpkin butter recipe is a better use. It’s sweet caramel-like texture and perfect for so many things! I could keep going, but you can clearly see that the options are endless. My favorite is this fall butter and some green apple slices…so good! The tartness combined with the sweet pumpkin spice flavor is to-die-for and the perfect snack, dessert, or even breakfast. 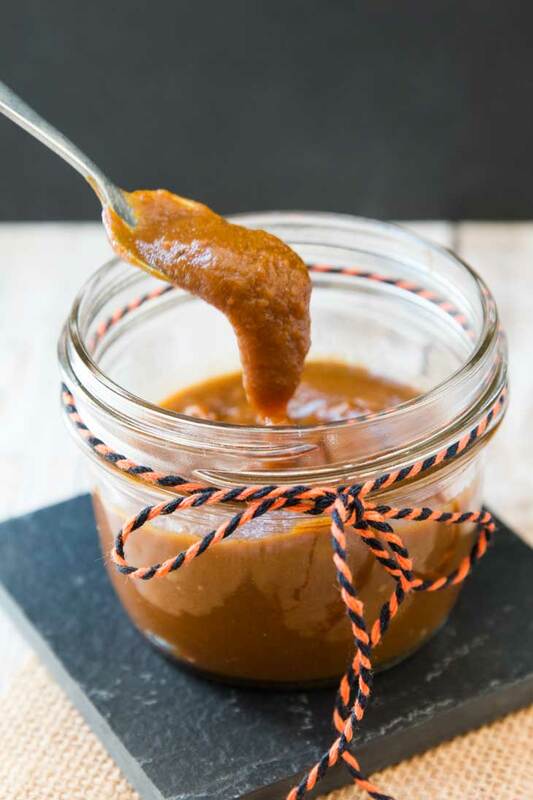 So grab some pumpkin puree, whip up this 15-Minute Pumpkin Butter Recipe, and let me know your favorite way to enjoy it in the comments below! A sweet caramel-like texture coupled with a wonderful pumpkin spice flavor. This Fall-inspired butter is the perfect way to use up that extra pumpkin puree and will have you drizzling it on everything! Add all the ingredients into a small saucepan. Heat over medium heat and stir to combine. Turn the heat to low. Simmer uncovered for about 10 minutes or until the texture thickens, stirring frequently. Taste and adjust if needed. Add more coconut sugar for sweetness, lemon juice for acidity, and more pumpkin spice depending on preference. Cool completely and transfer to a sealed jar. Use it as a dip with green apples, spread it over toast, add it to your morning oatmeal, or drizzle it on some ice cream (the options are endless)! Store any remaining pumpkin butter in a sealed jar in the fridge for about a week. oh no! So sorry you guys don't get canned pumpkin out there. But YES...if you have pumpkin, steam it completely and then puree it...it's DELICIOUS! I'm making another batch tomorrow! Holy cow, a third of a cup of sugar in one cup of pumpkin!? Yikes. Think I'll stick to my apple butter in the crockpot that uses just a couple tablespoons of maple syrup. 15 minutes for homemade pumpkin butter?! Sign me up! Love the list of ten things to do with pumpkin butter too. I need to make this to stir into my overnight oats in the morning. oh yes...the overnight oats idea was a HUGE hit with my kiddos! There's just so much you can do with pumpkin butter! My husband already requested I make another large batch! I never realized pumpkin butter was so easy to make! So easy! Plus, I kept this recipe pretty basic. Yum, I love pumpkin everything. I think this would make a great party favor or office gift. The kids teachers are each getting a jar of this stuff come the holidays! I am thinking of all of the Christmas gifts I could check off with these beauties! Most definitely! I know my kids teachers are definitely getting some of this for the holidays! Love this! Thanks for sharing 😁 How long does this last? Did you "can" them or just use a sealable jar? About a week in the fridge! And I just used the seal-able jar or you can probably use a sealed Tupperware too :) let me know if you try it! I'm making a batch again tomorrow! Oh YUM! Great presentation and photos as well! I've never had pumpkin butter before. What a great way to start the day! It's delicious! I've seen it at stores and wanted to create a simpler cleaner version at home. Oh my! Where was this recipe when I was making Thanksgiving dinner! It would have been a perfect addiction... I mean addition. :P I must have it in my life. I love pumpkin anything. Haha...this would've been a perfect addition for sure!! You still need to try it if you love pumpkin...even simply enjoying it with some green apples is delicious. MMMMM this sounds like it would be perfect slathered on a piece of banana bread! Pumpkin butter?! OMG - I've never had this before but yaaasss this looks so good! It's so good you need to try it! and it's perfect for leftover pumpkin puree! 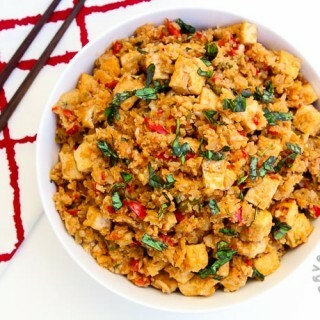 I'm so looking forward to try this recipe! It will have sooo many different uses in my kitchen! Yum! 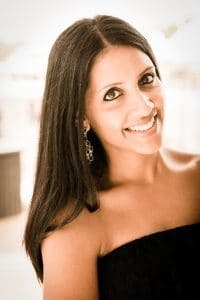 Great to hear...it's so versatile which is why i love it so much!